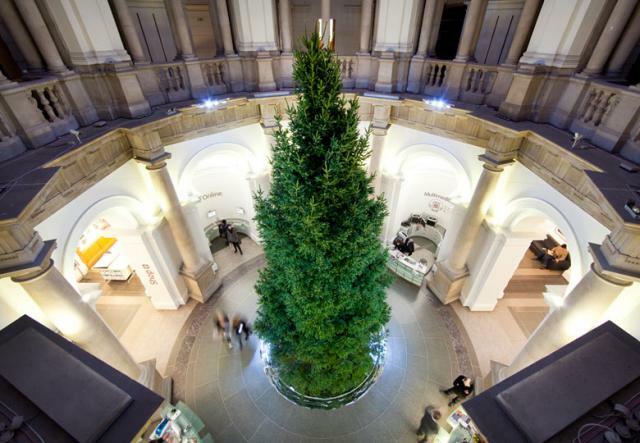 For the past 23 years, Tate Britain has exhibited artist-designed Christmas trees in their magnificent rotunda. 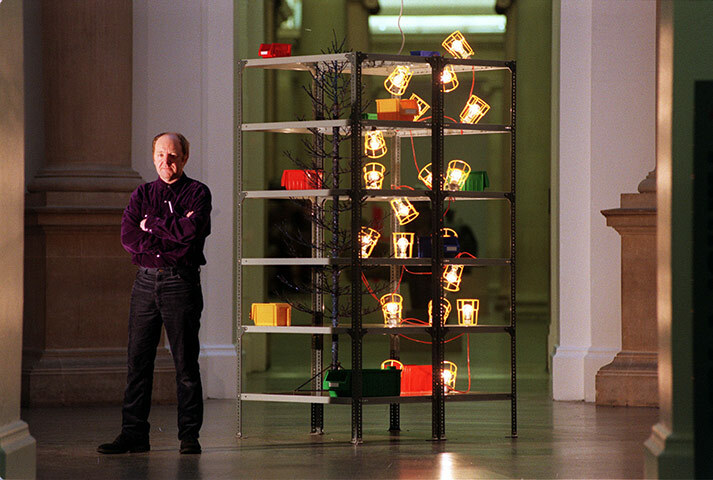 There have been some wonderful reinventions, starting in 1988 with Bill Woodrow’s ‘ecological tree’. 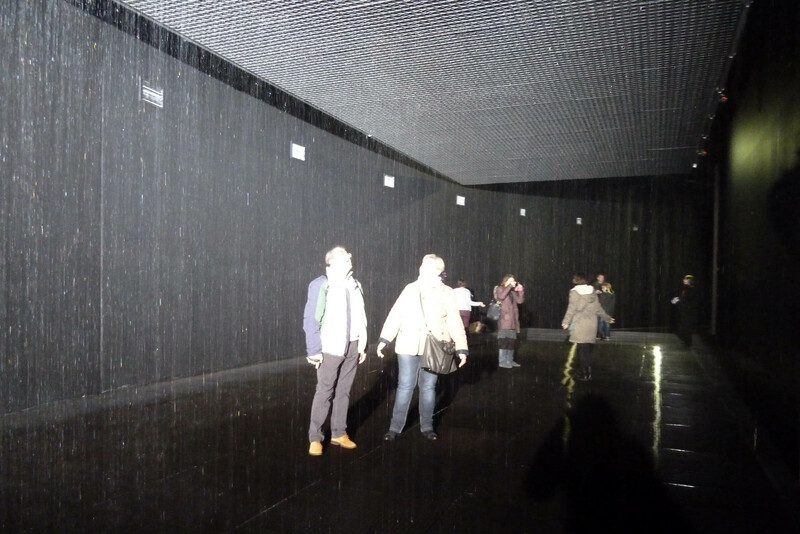 This was followed with trees designed by Tim Head, Lisa Milroy, Boyd Webb, Craigie Aitchison, Shirazeh Houshiary’s up-side down design, Cathy de Monchaux and Cornelia Parker whose tree was laden with dried fruit while the air was magically scented with the aroma of brandy. 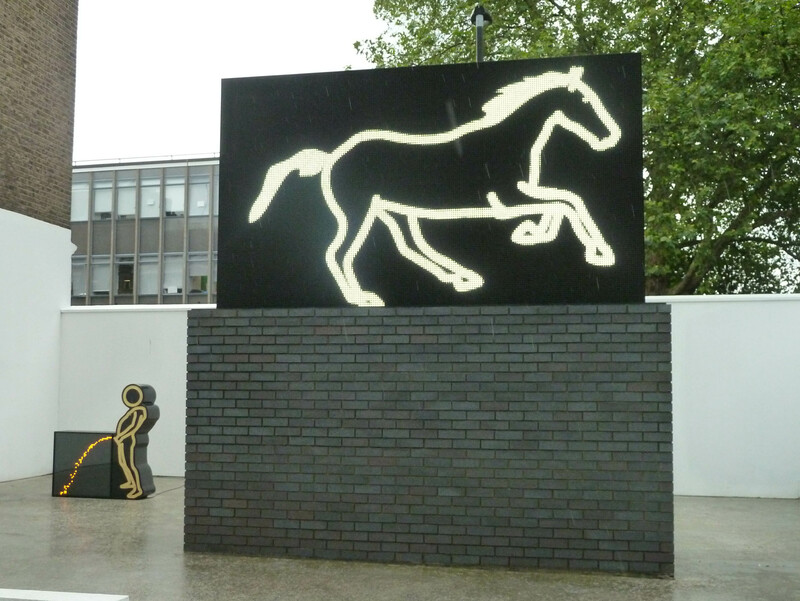 In 1996, Julian Opie created a group of ‘model’ trees, constructed from two planes of wood. Although they were instantly recognisable as fir trees, there were also instantly recognisable as Opie’s. 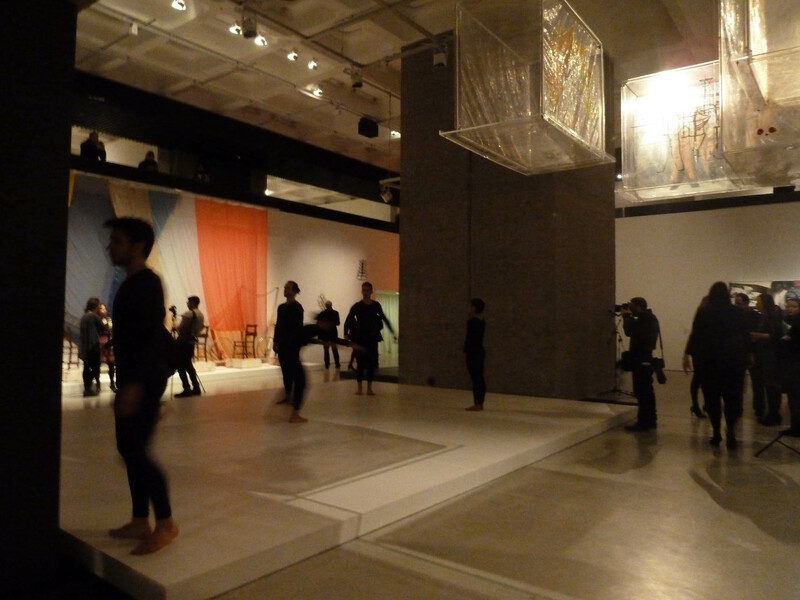 The group evoked the idea of a forest, drawing people into a mystical Christmas playground. Julian Opie, Christmas Tree, 1996. Image via www.guardian.co.uk. 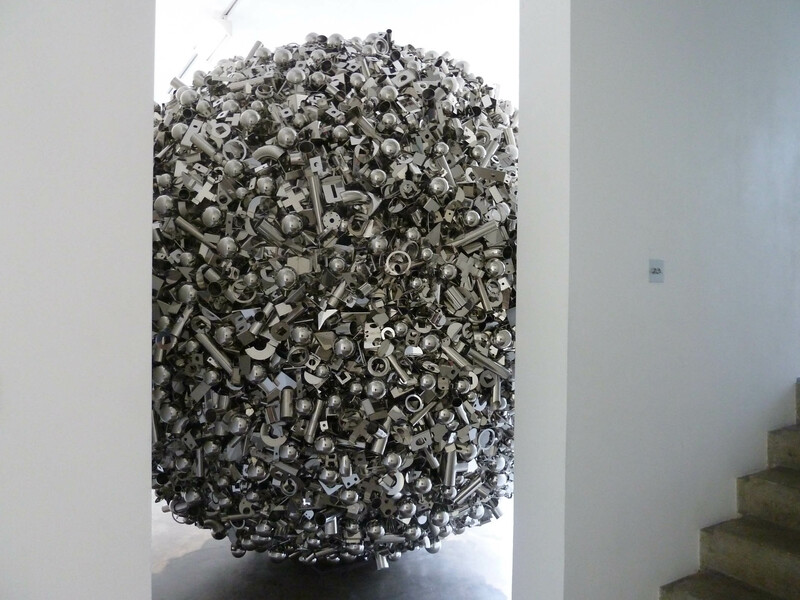 Michael Landy followed this installation the next year. 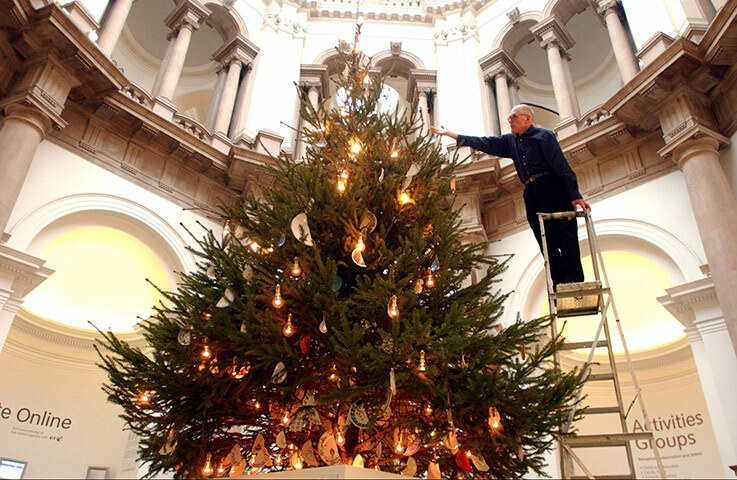 Then came Richard Wilson, Mat Collishaw, Catherine Yass (whose undecorated tree that was suspended and bisected by a thin beam of blue neon), Yinka Shonibare, Tracey Emin and Mark Wallinger. 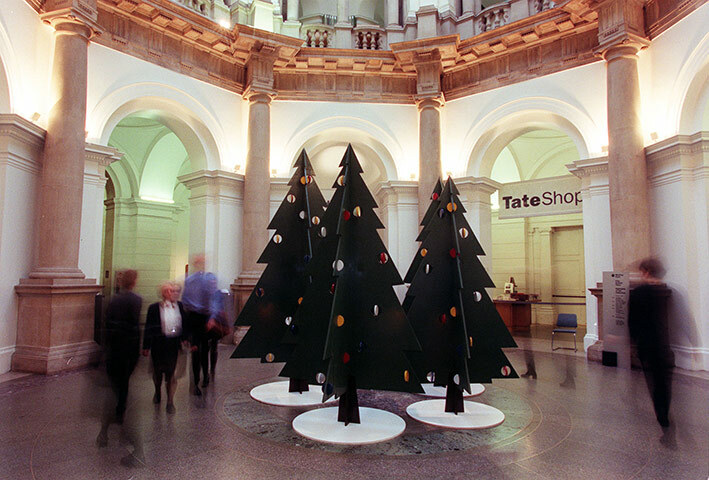 Catherine Yass, Christmas Tree, 2000. Image via www.telegraph.co.uk. 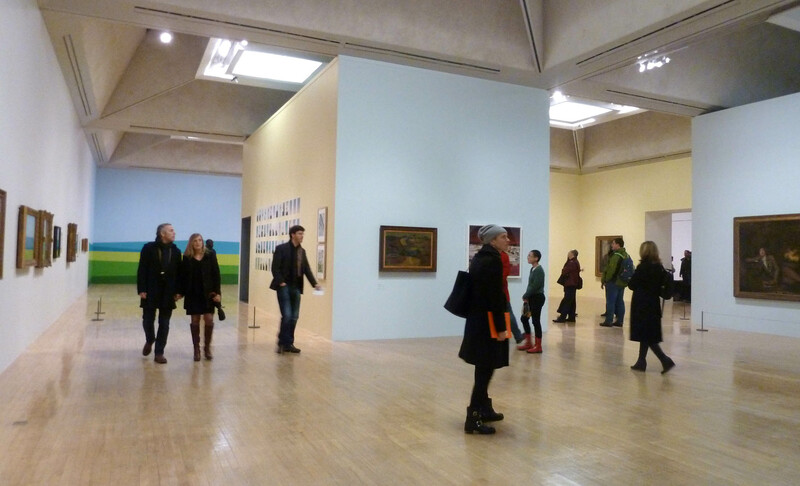 A bare tree cropped up again for Wallinger’s installation. He used a large aspen (the wood of the cross on which Christ was crucified), hung with 500 lightly-scented Catholic rosaries. 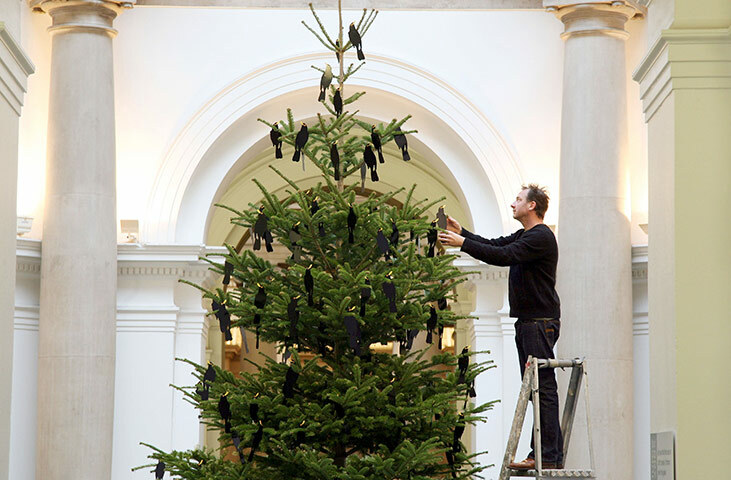 Then there was a tree by Richard Wentworth and a traditional spruce by Gary Hume decorated with hand-painted steel-plate blackbirds. The blackbird is a typical Christmas bird and an iconic part of the festival – the ‘four calling birds’ of the popular song are blackbirds (calling birds, originating from colly birds where colly refers to the black soot of coal). 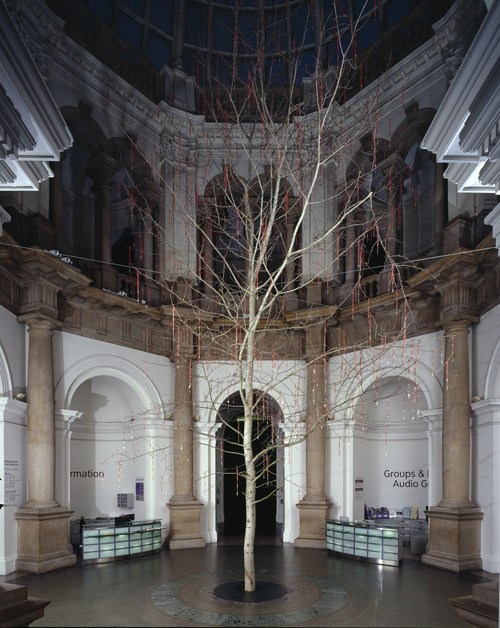 Mark Wallinger, Populus Tremula, 2003. 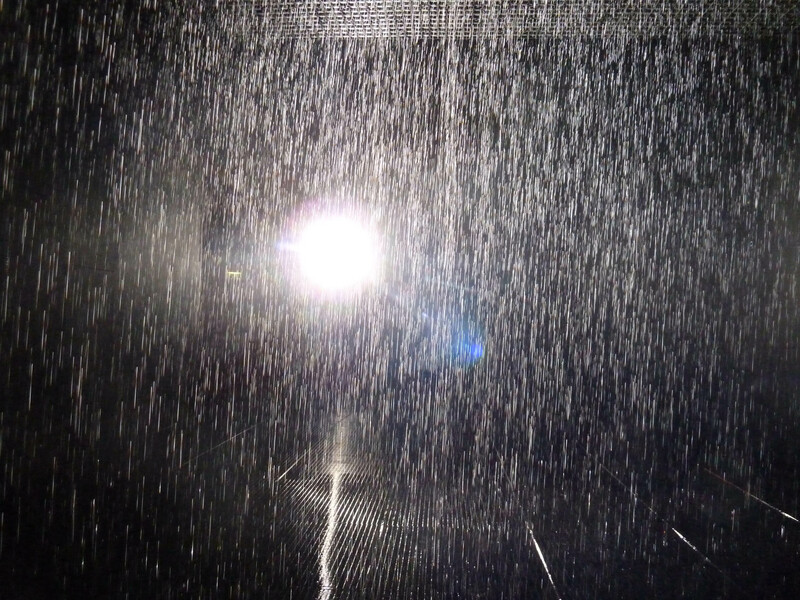 Image via www.tate.org.uk. 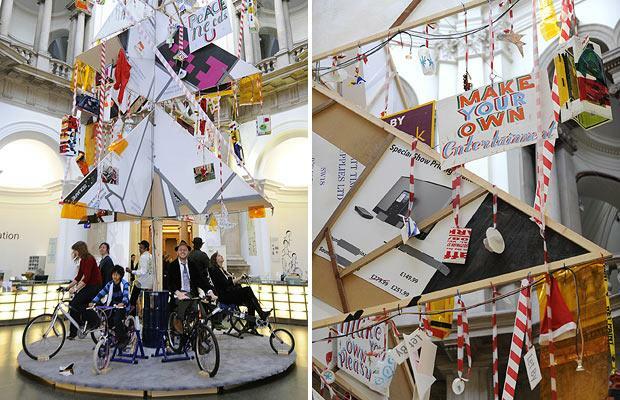 Important artists continued to adorn Tate’s rotunda with their festive spirit. 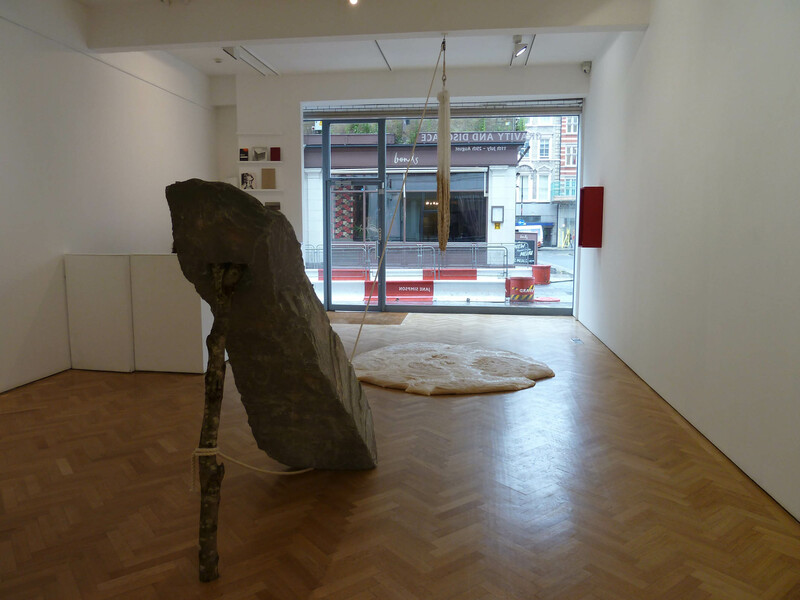 Sarah Lucas in 2006, then, Fiona Banner, Bob and Roberta Smith, Tacita Dean and, finally, last year, Giorgio Sadotti’s unadorned tree. At the bottom of his Norwegian Spruce, rested a coiled bullwhip, intended to drive away the spell of Christmas on twelfth night. 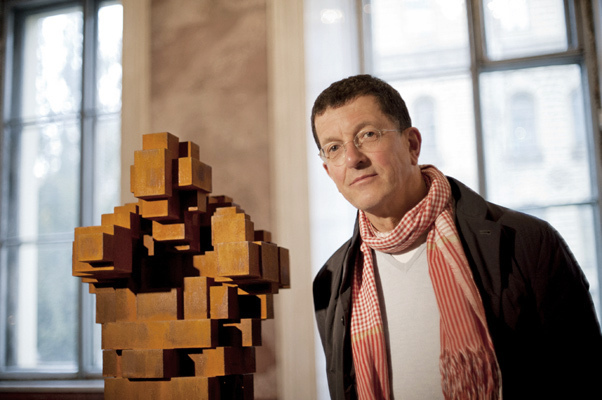 Sadotti asked us to recognise the tree’s natural elegance in its state of undress. 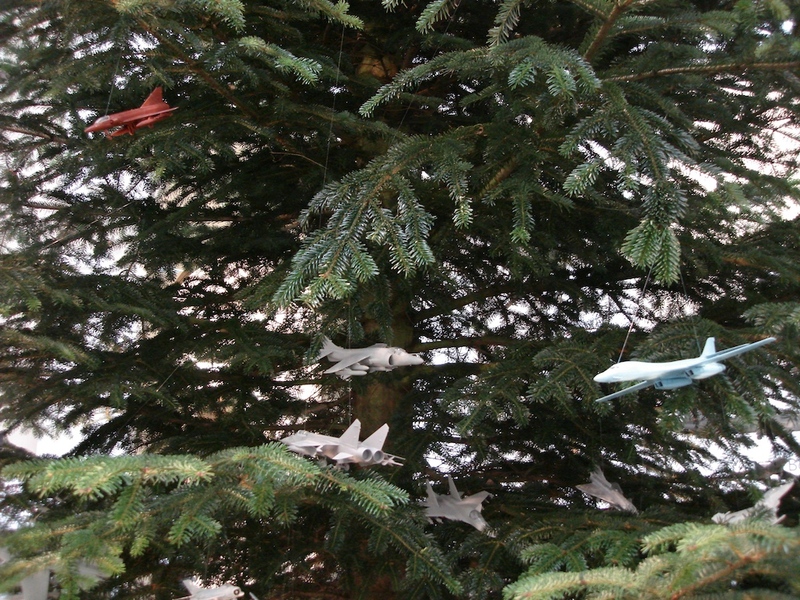 Giorgio Sadotti, Christmas Tree, 2010. Image via www.artswrap.co.uk. 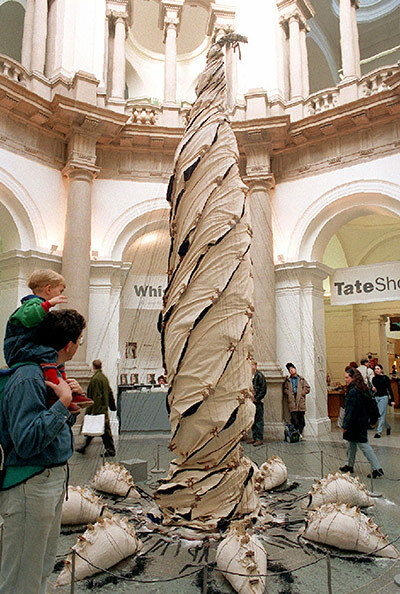 And so, it’s the time of year again when Tate should be unveiling its tree but, sadly, there is nothing. 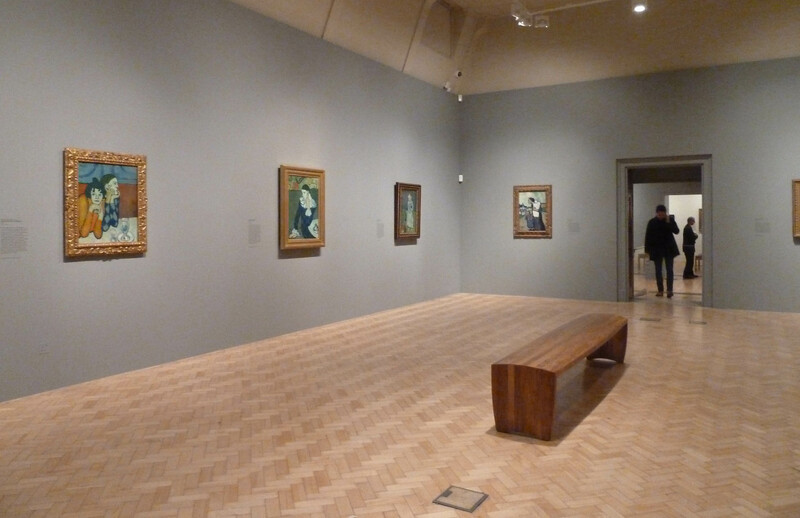 “Due to building works” (that haven’t yet affected the rotunda), a wonderful British tradition has been left to fizzle out and Tate has disappointed Christmas-loving art fans. 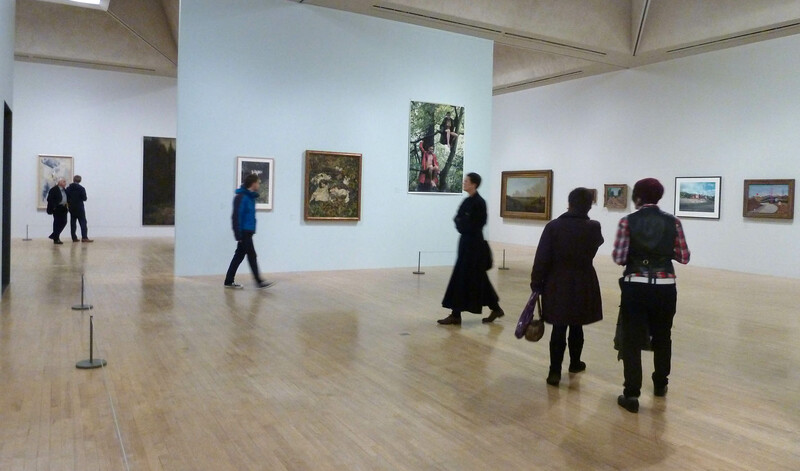 I, for one, am missing this festive eccentricity normally embraced by one of our favourite galleries. 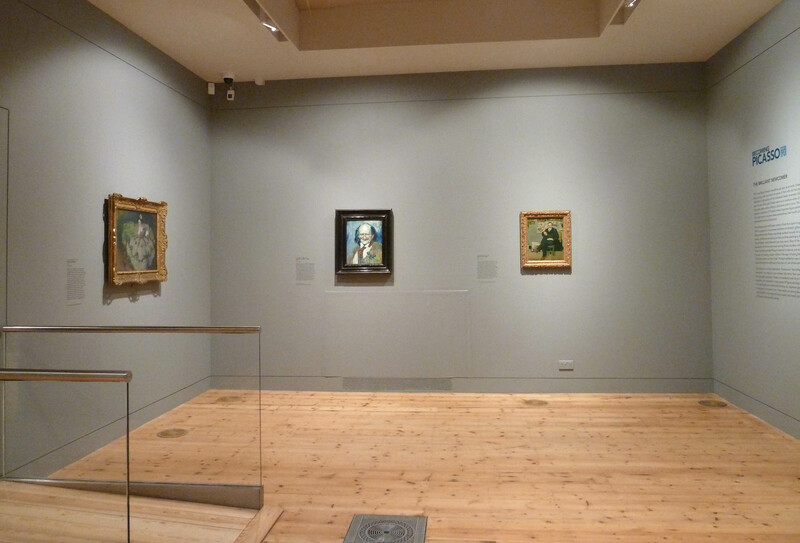 If for some reason they don’t want to use the rotunda this year, you’d think they would have enough space across both their London galleries that they wouldn’t have to be the gallery that stole Christmas. 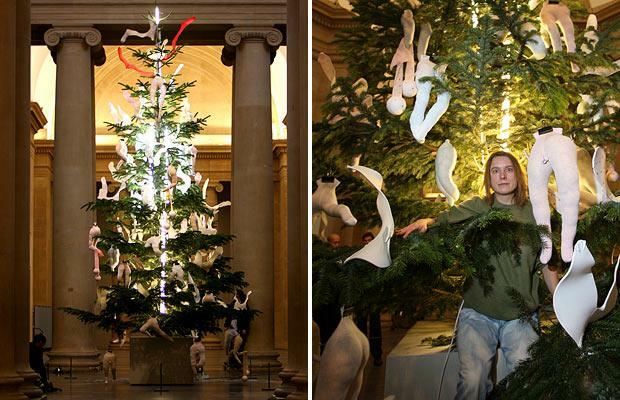 Please Tate let us have our Christmas tree back next year! Bill Woodrow, Christmas Tree, 1988. Image via www.guardian.co.uk. 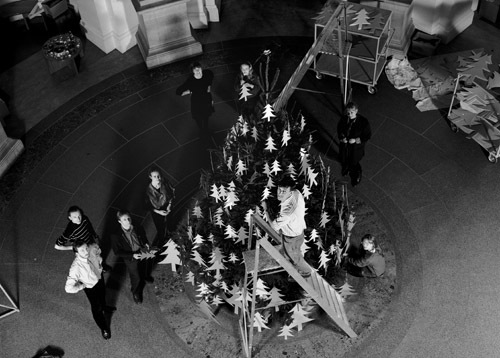 Tim Head installing his tree, 1989. 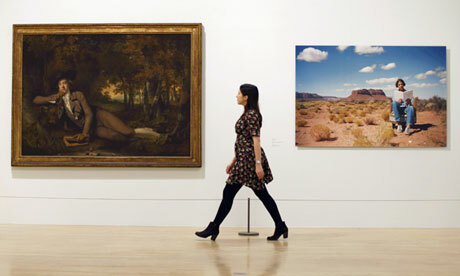 Image via www.tate.org.uk. Lisa Milroy, Christmas Tree, 1990. Image via www.guardian.co.uk. 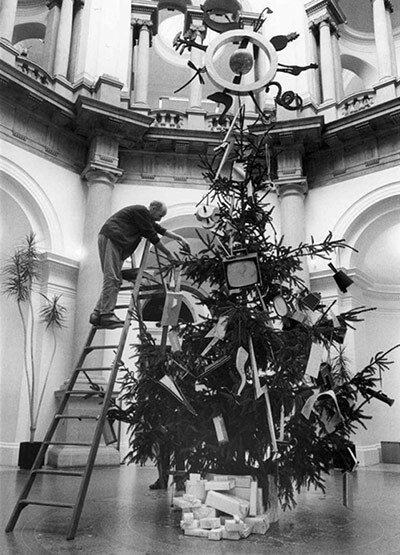 Boyd Webb, Christmas Tree, 1991. Image via www.guardian.co.uk. Craigie Aitchison, Christmas Tree, 1992. 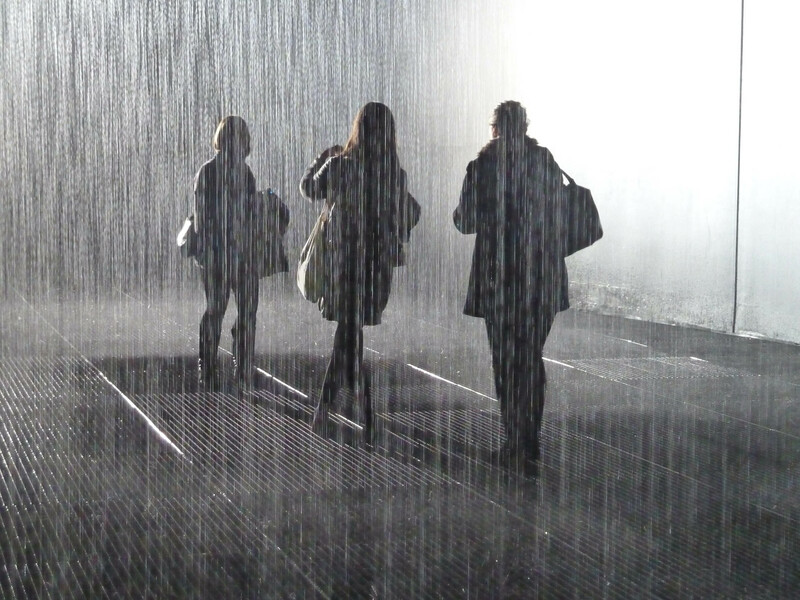 Image via www.tate.org.uk. Shirazeh Houshiary, Christmas Tree, 1993. 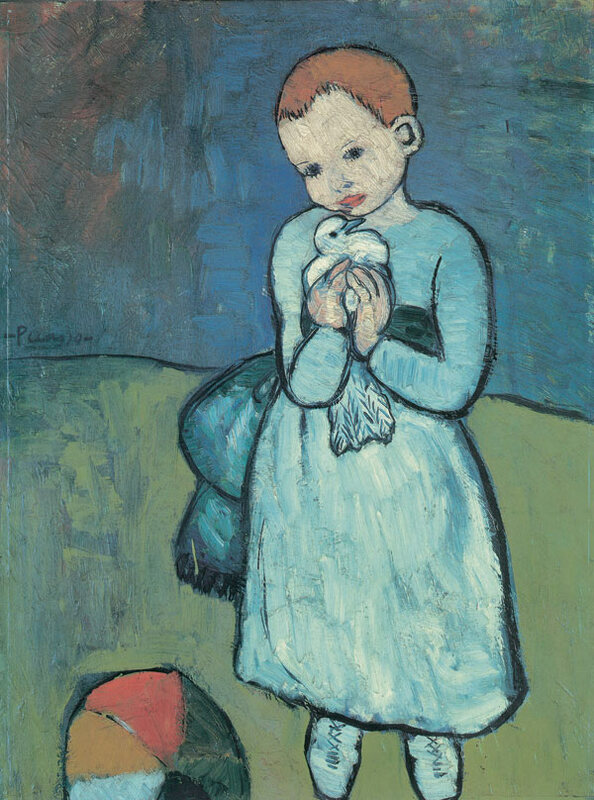 Image via www.tate.org.uk. Cathy de Monchaux, Christmas Tree, 1994. Image via www.guardian.co.uk. 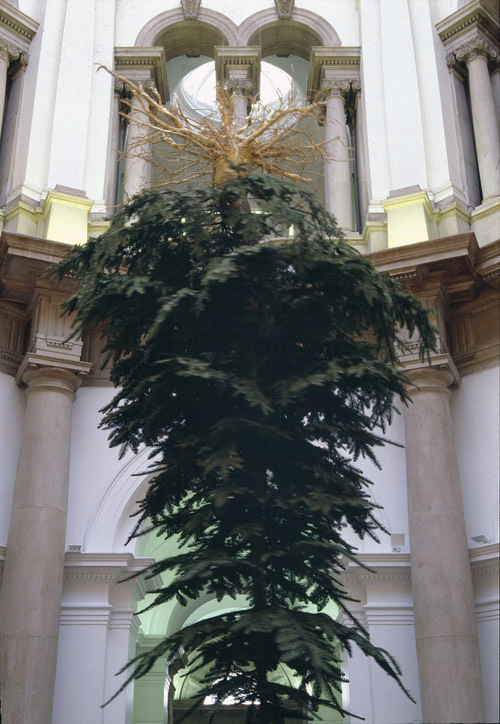 Cornelia Parker, Christmas Tree, 1995. Image via www.tate.org.uk. 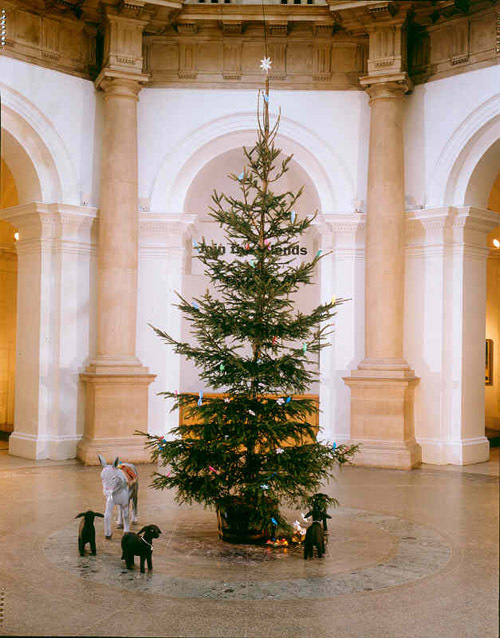 Michael Landy, Christmas Tree, 1997. Image via www.telegraph.co.uk. 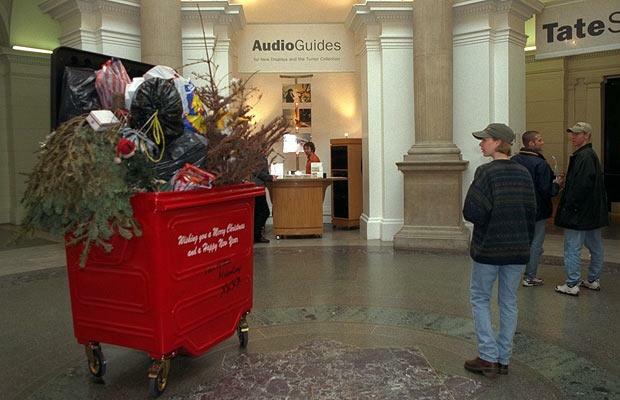 Richard Wilson, Christmas Tree, 1998. Image via www.guardian.co.uk. 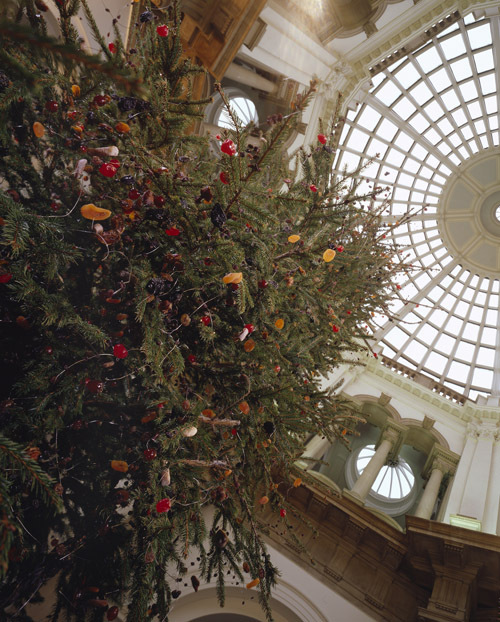 Mat Collishaw, Christmas Tree, 1999. Image via www.guardian.co.uk. 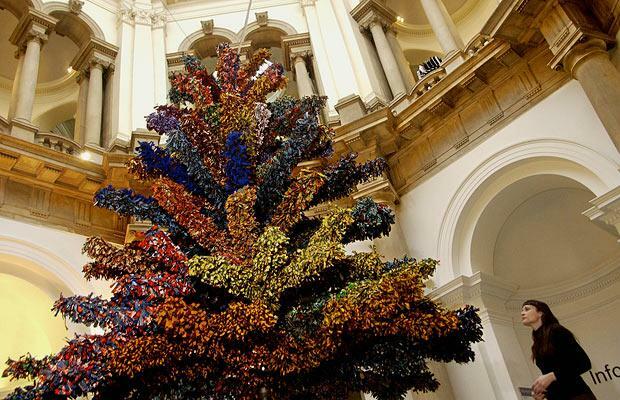 Yinka Shonibare, Christmas Tree, 2001. Image via www.telegraph.co.uk. 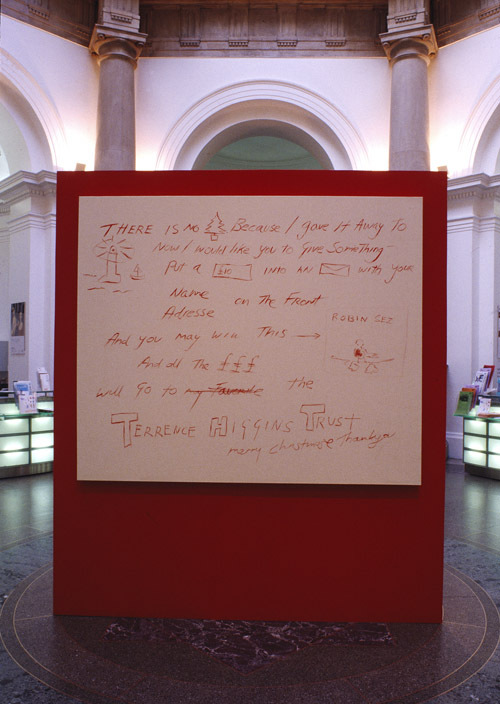 Tracey Emin, Christmas Tree, 2002. 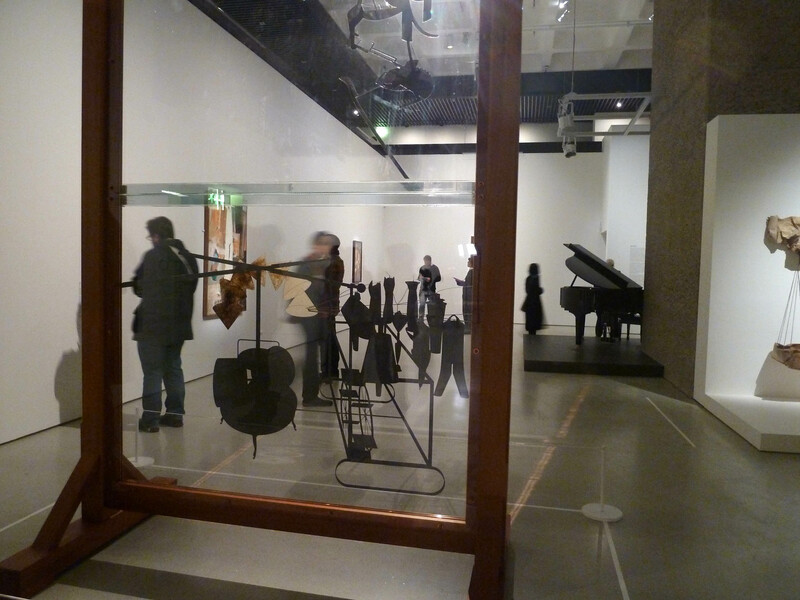 Image via www.tate.org.uk. 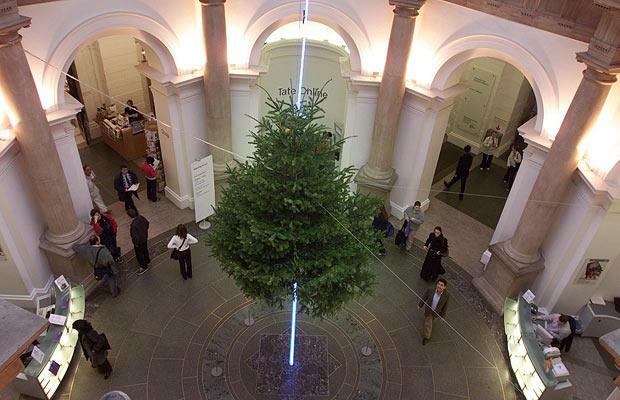 Richard Wentworth, Christmas Tree, 2004. Image via www.guardian.co.uk. Gary Hume, Christmas Tree, 2005. Image via www.guardian.co.uk. 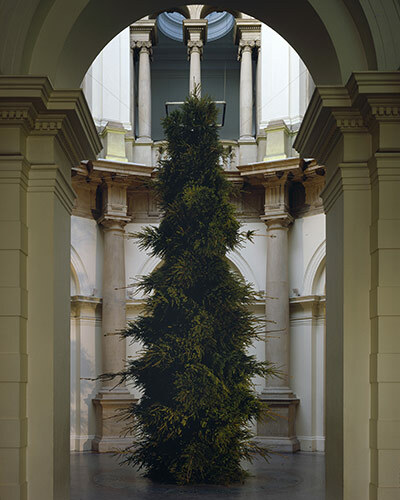 Sarah Lucas, Christmas Tree, 2006. Image via www.telegraph.co.uk. 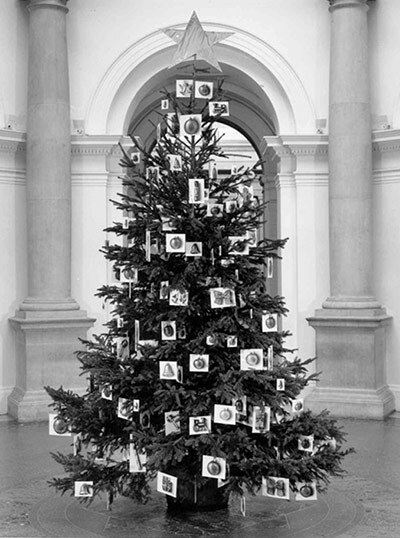 Fiona Banner, Christmas Tree, 2007. Image via www.flickr.com/photos/practise. 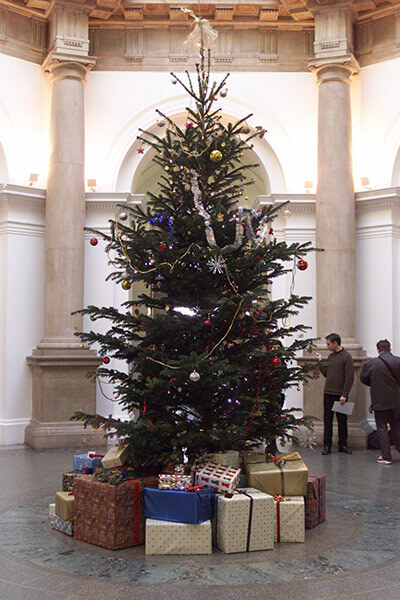 Bob and Roberta Smith, Christmas Tree, 2008. Image via www.telegraph.co.uk. 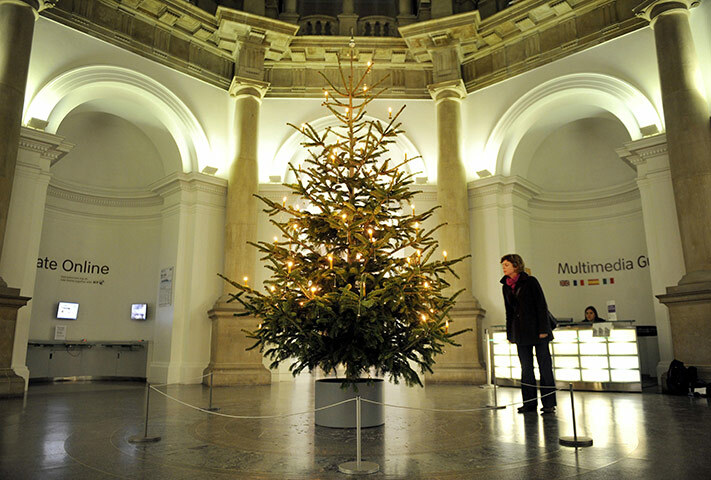 Tacita Dean, Christmas Tree, 2009. Image via www.guardian.co.uk. 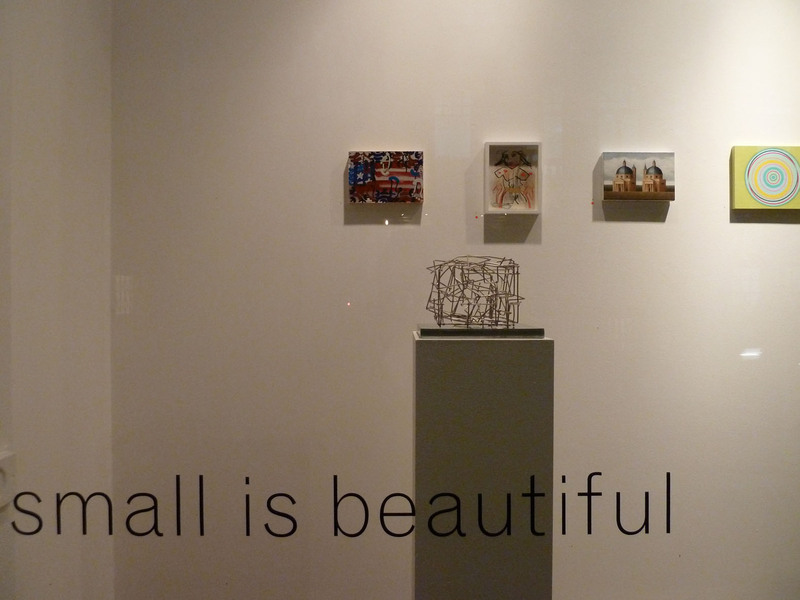 I had been looking forward to seeing Small is Beautiful at Flowers since I first received the invitation which stated that works were guaranteed not to exceed its own size – 9 inches by 7 inches. Small is Beautiful at Flowers. Own photograph. I know things like this have been done time and time again (the RCA secret postcard show being a prime example) and this is something of a tradition for Flowers but that didn’t stop me feeling a frisson of excitement. 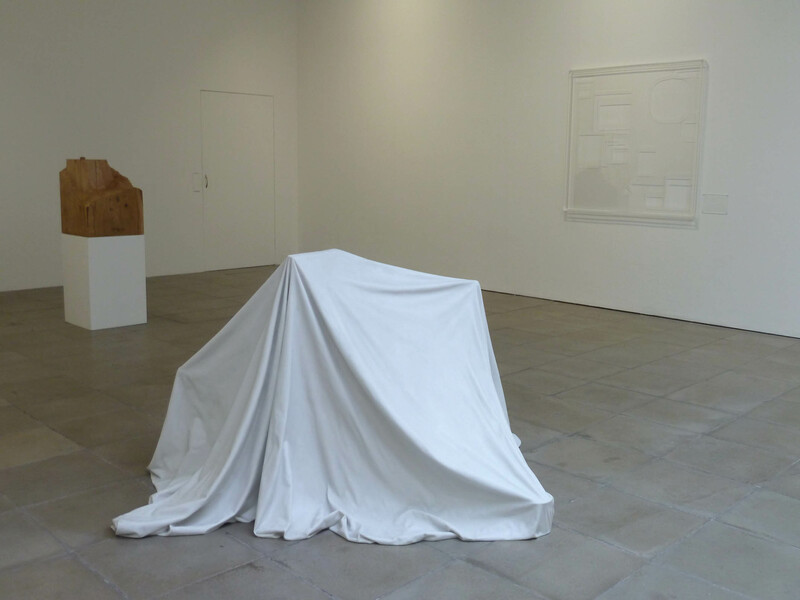 I was interested to see if all the works conformed and, although I resisted carrying my invite around and sizing up, I reckon most of them did. 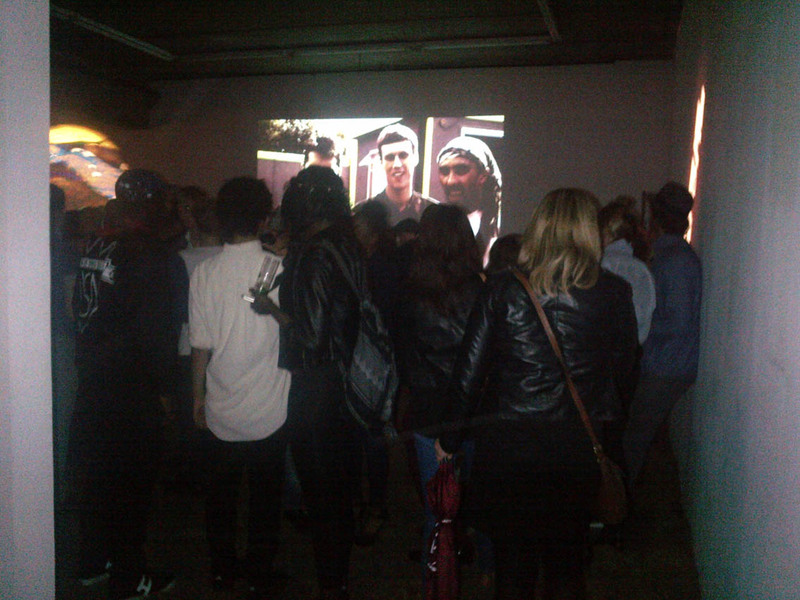 The private view was bustling and, with works by 80 artists, that was hardly a surprise. 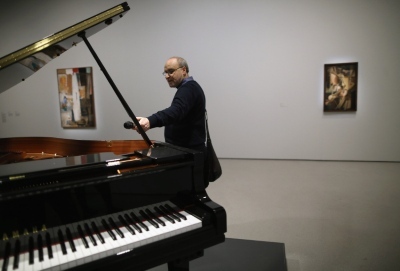 The pieces couldn’t be more varied, ranging from small-scale paintings to moving sculptures. 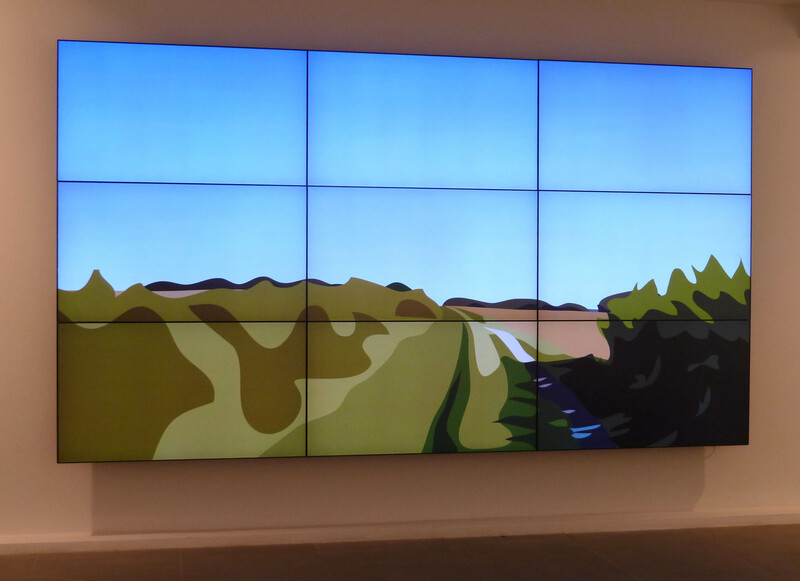 Most of Flowers’ big names make an appearance – there’s a Richard Smith work and a Patrick Hughes. 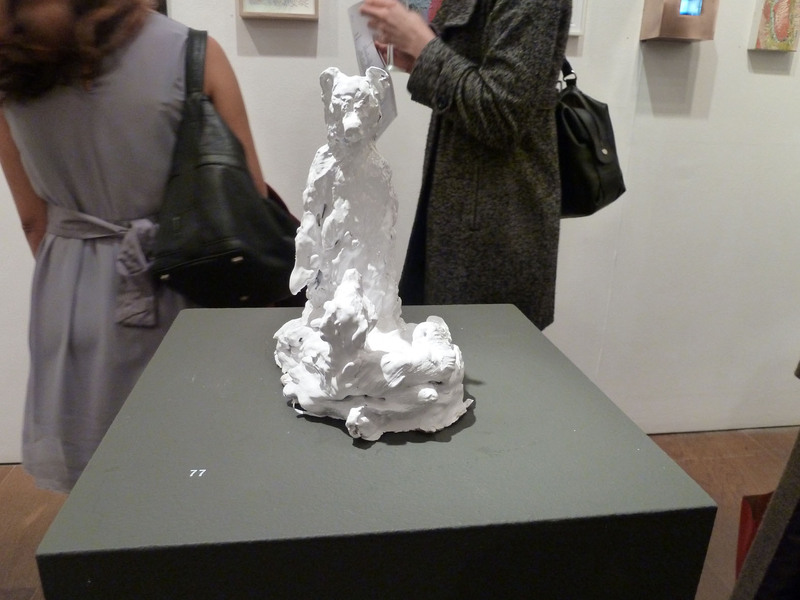 A gorgeous Nicola Hicks’ bear stands proudly on a plinth, reminding everyone of her recent exhibition on Kingsland Road. Nicola Hicks, There is no moral high ground between a bear and a dog, 2010. Own photograph. As is so often the case, my time was limited last night (dinner at The Zetter beckoned) and I didn’t get a chance to push past everyone to look closely at all the works but two stood out for me. 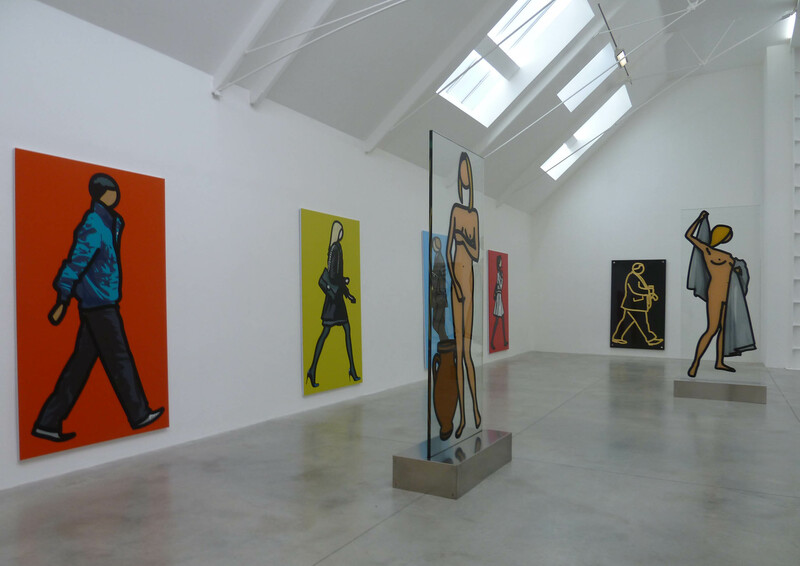 Maybe I’m predictable but I loved number 76 – Julian Opie’s Catherine Dancing (pink). I have long admired Opie. 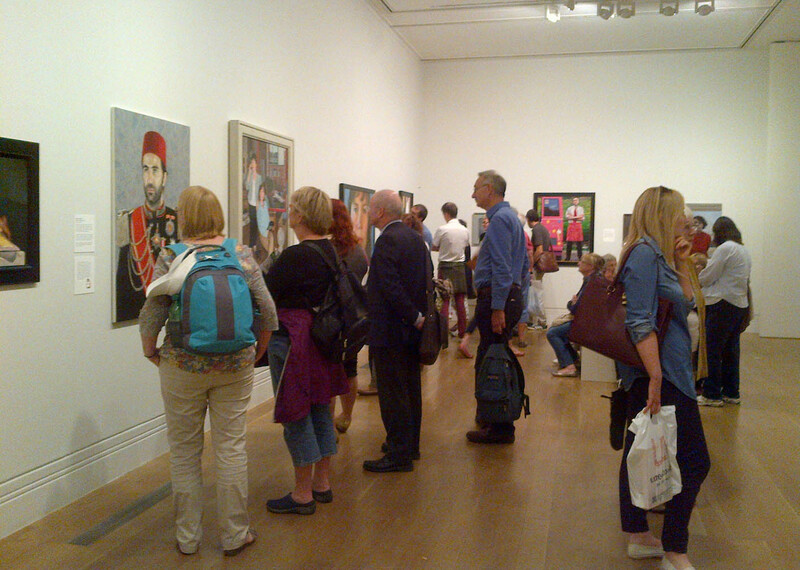 I remember seeing some of his work at the National Portrait Gallery as part of my AS-level art project. 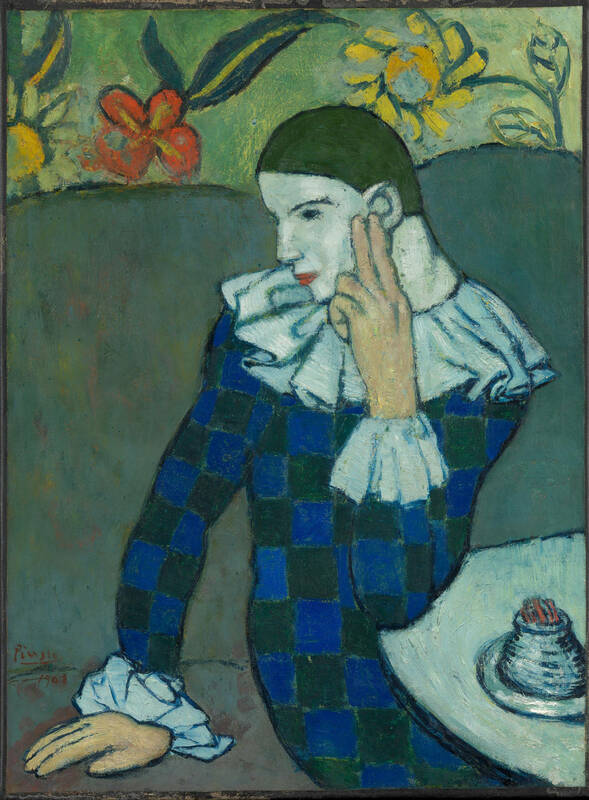 And, when I returned to school with all my write-ups and drawings, the art teacher scornfully told me that all I had deliberately picked the easiest artist to copy. 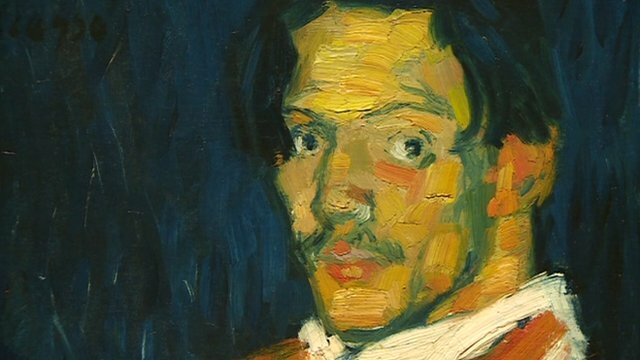 No artist is actually easy to copy as anyone who has studied art (except forgers) will know. I picked Opie because I think he’s wonderful but it certainly antagonised me enough to make me continue looking at his work. 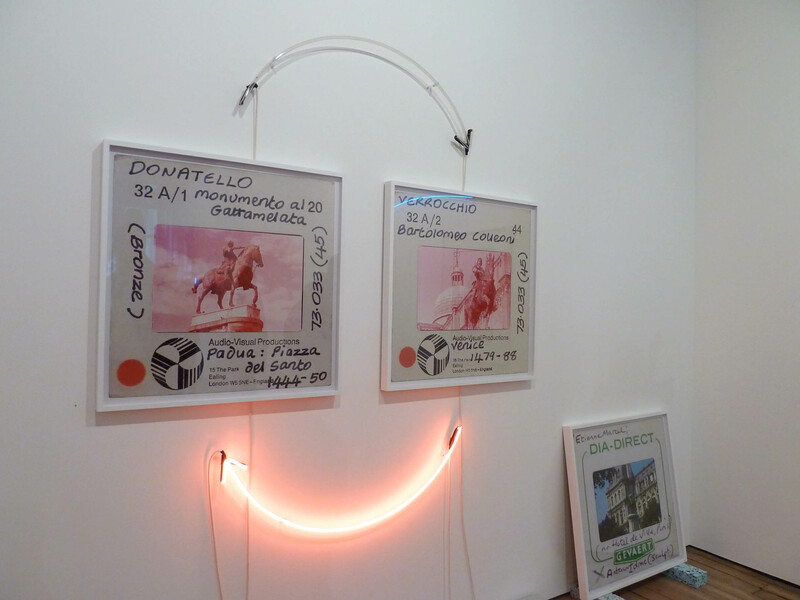 Opie’s works are, of course, instantly recognisable and his career has been preoccupied with the investigation of representation through his own reductive, formal language. 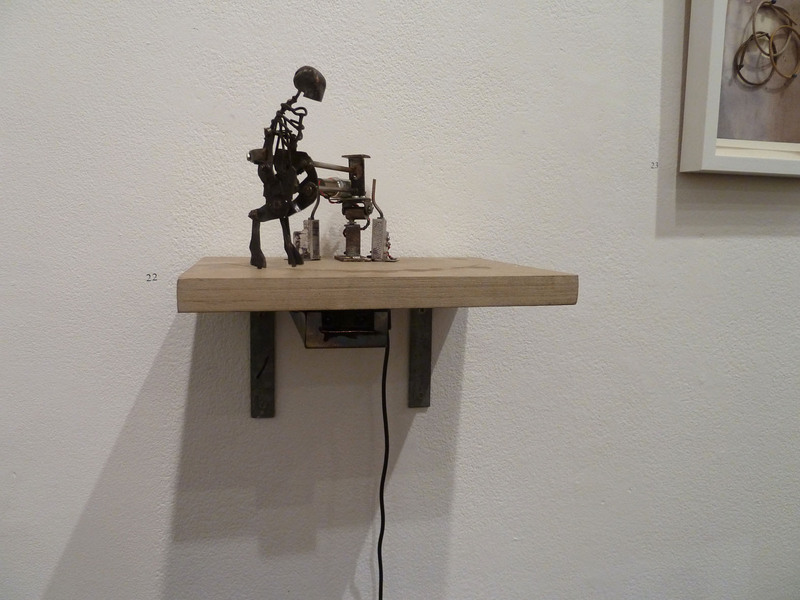 Catherine Dancing is a three-dimensional exploration of a typical Opie figure. Julian Opie, Catherine Dancing (pink), 2011. Own photograph. Another highlight for me was displayed just behind the Opie. 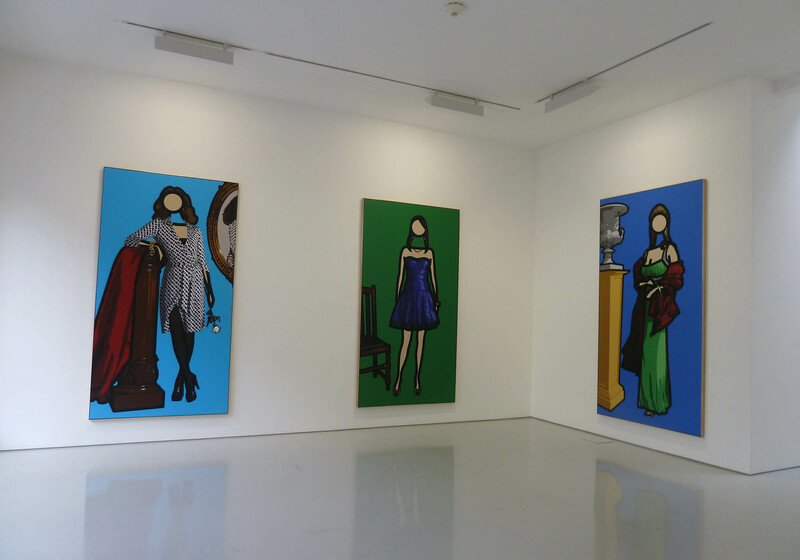 I met Tim Lewis a few weeks ago at another Flowers’ event but wasn’t familiar with his work. Lewis’s Pann is a strange mechanical creature who paces across a platform. 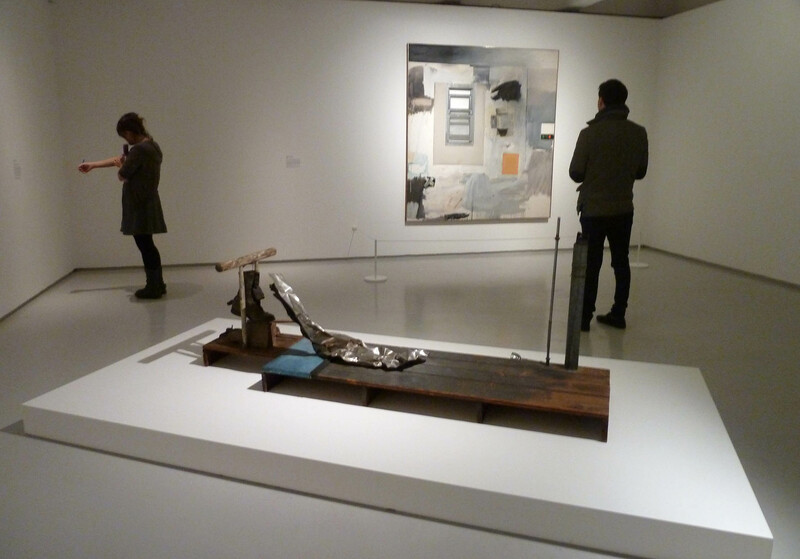 All the pieces in this show are typical snapshots into the artists’ working styles and Pann is no exception. 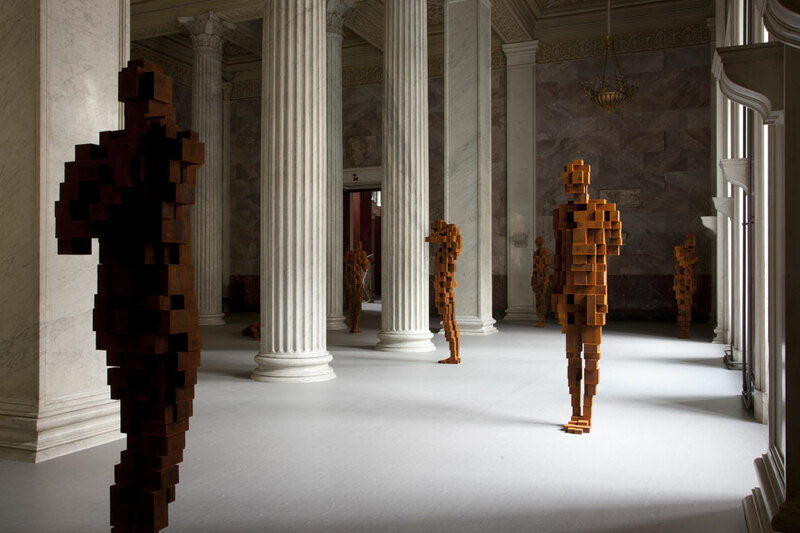 Lewis’s anthropomorphic entities mix intricate mechanics with a dextrous appreciation of both art and artifice. His creative drive and obsession with form is apparent but it is contagious; I was quickly captivated, following Pann’s journey, back and forth, back and forth. 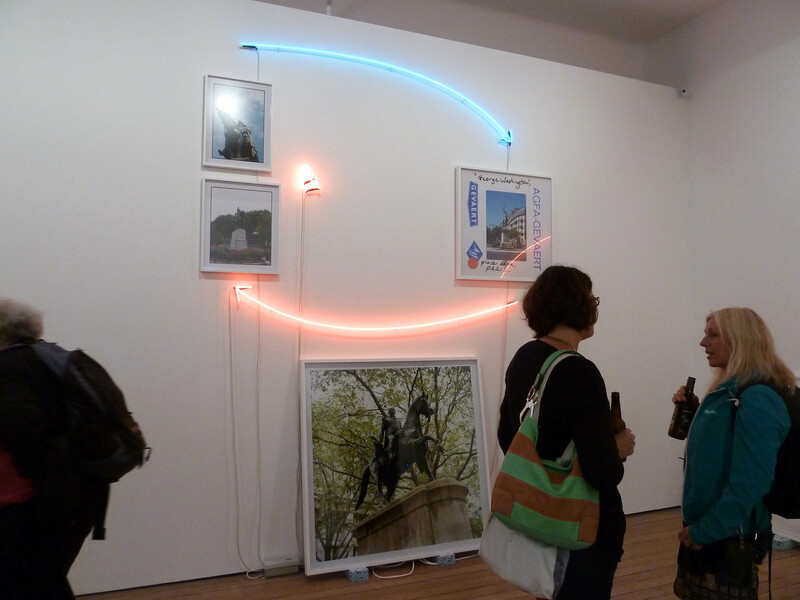 Tim Lewis, Pann, 2011. Own photograph. Normally, at such a busy opening it is inevitable that I will be trodden on but this didn’t happen yesterday as I had decided to don a new pair of shoes. The first comment when I bought them was that they look like a lethal weapon. If the stiletto is good for moving others’ feet out the way then why not take the theme to the rest of the shoe! Don’t worry, I’m not that vicious but they certainly provoked a reaction. 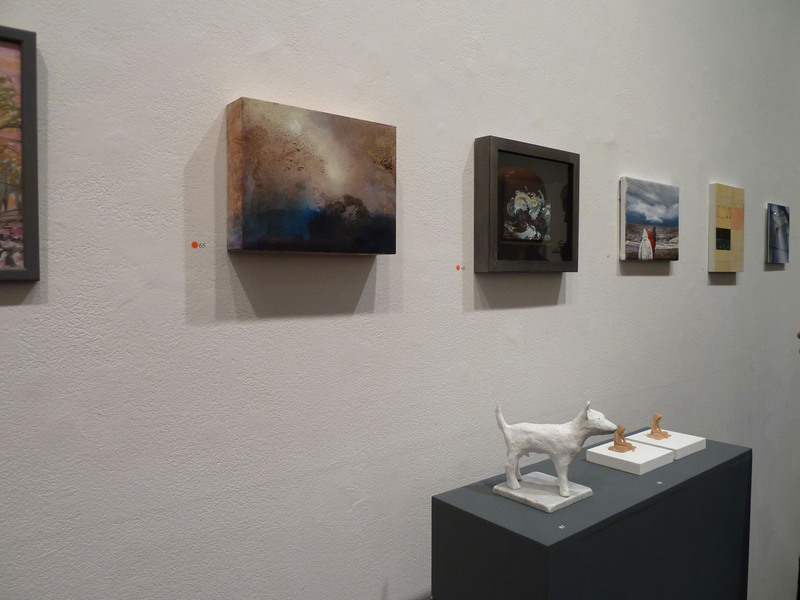 Small is Beautiful XXIX is at Flowers, Cork Street, until 1st January 2012, www.flowersgalleries.com.